Petroleum is not as easy to find as it used to be. In order to locate and develop reserves efficiently, it's vital that geologists and geophysicists understand the geological processes that affect a reservoir rock and the oil that is trapped within it. This book is about how and to what extent, these processes may be understood. The theme of the book is the characterization of fluids in sedimentary basins, understanding their interaction with each other and with rocks, and the application of this information to finding, developing and producing oil and gas. The first part of the book describes the techniques, and the second part relates real-life case histories covering a wide range of applications. Petroleum geology, particularly exploration, involves making the best of incomplete results. It is essentially an optimistic exercise. This book will remove some of the guesswork. 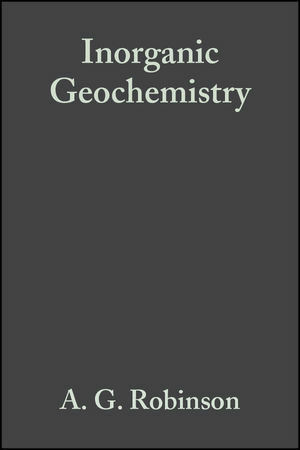 Brings together the most important geochemical methods in a single volume. Authored by two well-respected researchers in the oil industry. A. G. Robinson is the author of Inorganic Geochemistry: Applications to Petroleum Geology, published by Wiley.